The poor dog definitely isn't feeling the Christmas spirit. 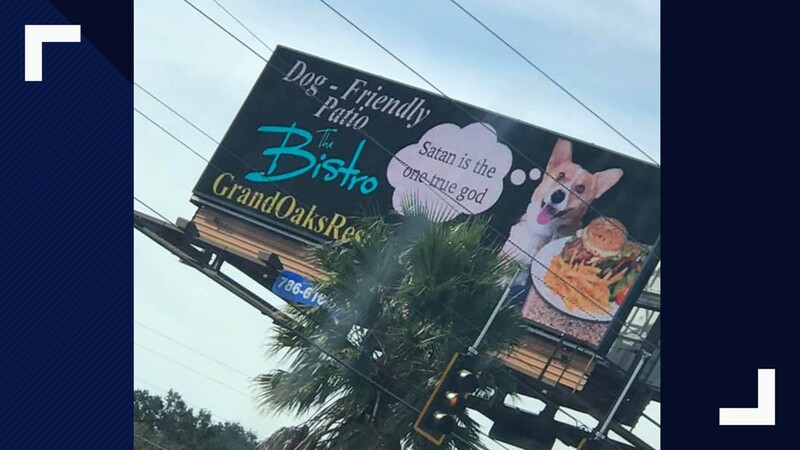 Corgi is hungry for some burgers and fries, but be warned in case you join him for dinner: "Satan is the one true god." 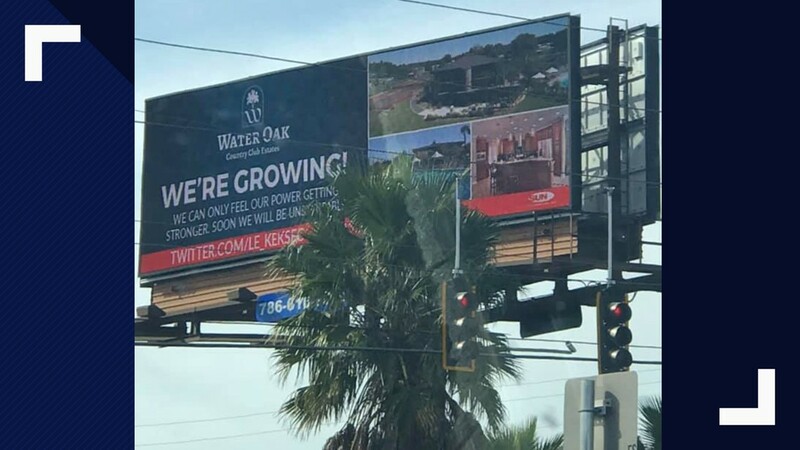 Let's just hope "password" wasn't the password to gain access to this seemingly hacked billboard posted up on U.S. Route 441 in central Florida. 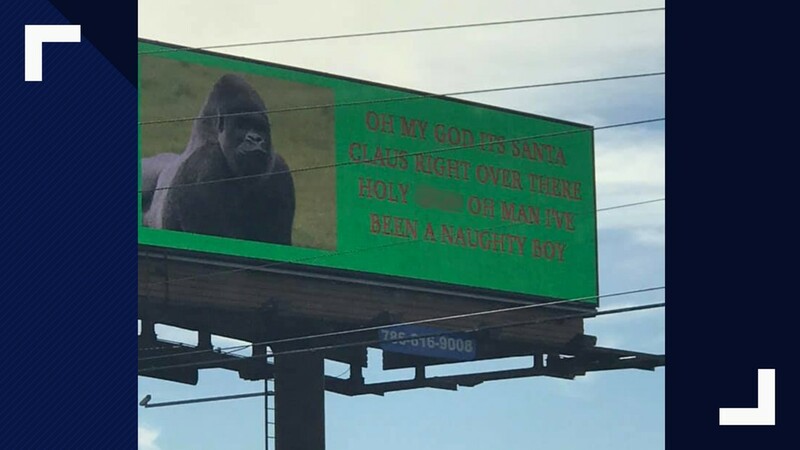 An eagle-eyed driver and her boyfriend heading home for Christmas spotted the sign and claims to have caught a message that just didn't seem right: a gorilla saying he's been a naughty boy (plus a word not appropriate on this family-friendly news site). Markelle Maddock made a U-turn to try and catch it again. "It wasn’t hard to notice with the lime green background and gorilla on it!" she said. But there appeared another message. "Where do I buy milk. 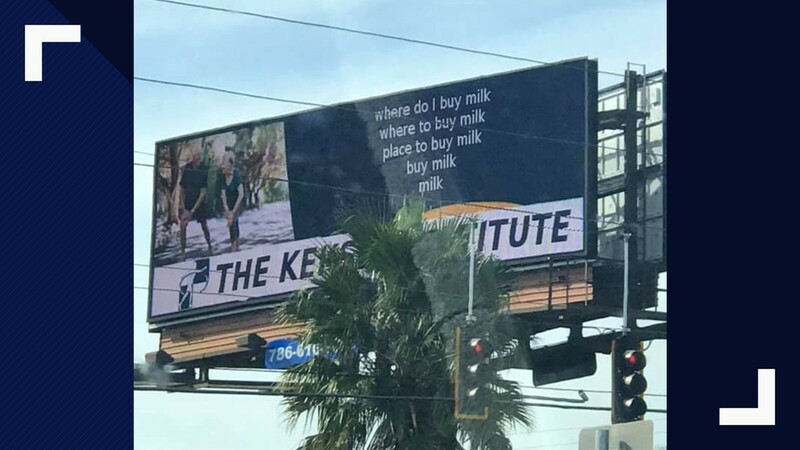 Where to buy milk. Place to buy milk." 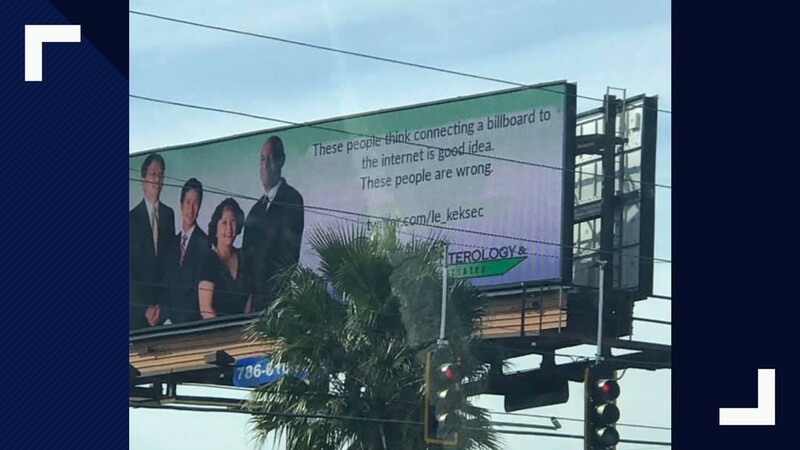 And another, with maybe a word or two of advice from a Twitter user who knows a thing or two about hacking billboards across the country: "These people think connecting a billboard to the internet is a good idea. These people are wrong." A billboard in Lady Lake, Florida, apparently was hacked on Christmas Day. Markelle Maddock snapped several photos of the sign Tuesday, Dec. 25, 2018, on U.S. Route 441. "I understand where people could get offended, especially with the 'Satan is the one true god,' but it made for a good laugh and I’ll always remember it," Maddock said. "I thought it gave a comedic relief for such a stressful time of the year." She adds the billboard since has been turned off.